Purdue University President Mitch Daniels and Purdue Research Foundation President Brian Edelman have jointly appointed David Broecker as the foundation’s chief innovation and collaboration officer. David has a long history of industry and entrepreneurial experience at Fortune 500 and startup medical device and biotechnology companies in Indianapolis and the Boston area. He will oversee strategic innovation and collaboration initiatives at the Purdue Research Foundation, a private, nonprofit foundation established in 1930 to advance the mission of Purdue University. He will continue to serve as chief executive officer and chairman for Zorion Medical, an Indianapolis-based medical device startup he founded. 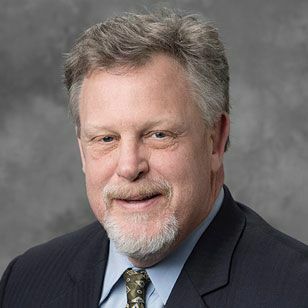 Following his 1983 graduation from Wabash, David earned a graduate degree in chemical engineering from the Massachusetts Institute of Technology and an MBA from the University of Chicago, and has served on the Wabash College Board of Trustees since 2009. You can read more at Inside Indiana Business. Todd Spurgeon of New Albany advanced to the office of president-elect of the Indiana State Bar Association for 2017-18 at the association’s annual meeting in Indianapolis. His term will expire in October, after which he will become the association’s president. As president, he will represent the single largest legal organization in the state. A partner at Kightlinger & Gray LLP in New Albany, Todd is a member of the Floyd County, Indiana State and American bar associations; the American Board of Trial Advocates; Defense Research Institute; Defense Trial Counsel of Indiana; and the Sherman Minton American Inn of Court. 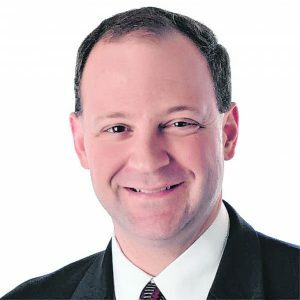 Following his 1996 graduation from Wabash, Todd earned his law degree from the Indiana University Mauer School of Law. 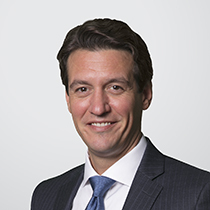 Holland & Knight has announced that Ben Robinson has joined as a partner in their Orlando Office, where he will focus his practice on high-stakes construction litigation, complex business litigation, white collar crime and healthcare litigation. Ben has also served in the federal judiciary, where he was deputy rules officer and counsel to the Judicial Conference of the U.S. Committee on Rules of Practice and Procedure. In that role, he worked closely on procedural, legislative and litigation policy matters with federal judges, prominent lawyers, state chief justices, and high-level Justice Department officials and federal public defender organizations. Following his 2001 graduation from Wabash, Ben received a J.D. from the University of Florida Levin College of Law. 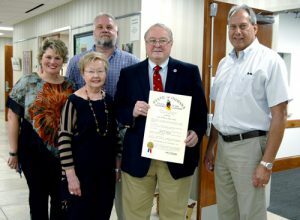 State Senator Phil Boots presented a Sagamore of the Wabash award to Jack Wyatt. Presented on behalf of Gov. Eric Holcomb, the award is one of the highest honors bestowed by the governor. Jack was recognized for his many years of service to his community, including involvement in both the Cub Scouts and Boy Scouts. In 1961, he became Scoutmaster of Troup 342 at First Christian Church and over the next 25 years, Troop 342’s enrollment grew to 88 boys and produced 55 Eagle scouts. He was instrumental in establishing the James E. Boggs Explorer Camp to be used by the youth of Montgomery County. Jack is an active member of the local Vanity Theater; Vice President and President of the Indiana Association of Life Underwriters; the Crawfordsville Boys Club Board of Directors; chapter advisor for the Wabash College Beta Theta Pi fraternity; the Alumni Advisory Committee at Wabash College; has served for 25 years on the Indiana State Committee for Employer Support of the National Guard and Reserve; as Commissioner of the Crawfordsville Police Department; Board of Directors of Lincoln Federal Bank; the Board of Directors and President on the Montgomery County Tourism Board; served as a member of the Board of Zoning Appeals; Board Member of the Montgomery County Community Foundation; the Board of the Montgomery County Cultural Foundation. He is a member and former President of the Montgomery County Kiwanis Club and has served as a Deacon and Elder at Wabash Avenue Presbyterian Church. A few of his many awards and honors include: The Distinguished Service Medal from the State of Indiana; the Silver Beaver Award for Adult Leadership in Scouting; ESGR Lifetime Achievement Award, and a Lifetime Achievement Award in Scouting. The Western History Association’s Autry Public History Prize is awarded annually to media exhibits, public programs, or written works that contribute to a broader public reflection and appreciation of the past or served as a model of professional public history practice in the history of the North American West. 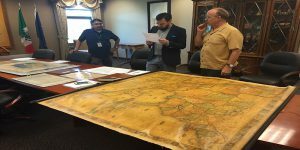 This year, the award was given to the creators of the “Utah Drawn: An Exhibition of Rare Maps” exhibit, including Travis Ross ’06. Following his 2006 graduation from Wabash, Travis earned a PhD in History from the University of Utah. Travis is currently a lecturer at Yale University.